Each year, the school sponsors many day trips and several overnight trips for students at every level. Class trips, on and off-campus outings, enrich our students both in an educational and a recreational capacity. 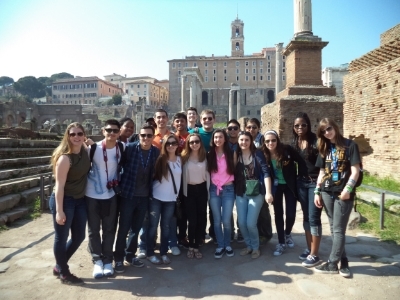 Three groups of Upper School students spent at least a week of their Spring Break in March overseas on educational trips to China, Italy and Spain. 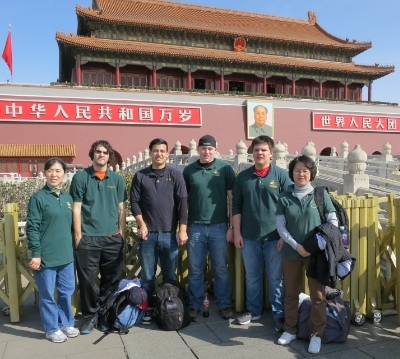 On a 10-day trip to China, a group of six students visited many great landmarks including the Great Wall, Tiannamen Square, Summer Palace and Forbidden City. Another group of 16 students enjoyed a one-week tour of Italy, where they spent time in Rome, Pompeii, Sorrento and Capri and walked through the Forum, Colosseum, Vatican and many other famous historical structures. Eighteen students embarked on the first half of an exchange trip to Altair, Spain, where they stayed with host families and attended classes with their new Spanish friends. They also had time to enjoy sightseeing in places such as Cordoba, Seville, Granada, Toledo and Madrid.